[15/03/2019] Flamebait’s Looking for a Marketing and Community Manager! in 2018, currently working on the newly announced Forge And Fight. We’re looking for a Marketing and Community Manager to join us in our adventure! resume and a cover letter. The five-man team of Flamebait is looking to expand! We value creative freedom, experimentation and the swift death of our darlings. Flexibility and the ability to change direction fast is something we believe is very important. Flamebait released Passpartout: The Starving Artist in June 2017 and are soon to start the next exciting project. We’re looking for a programmer to join us in our adventure! You’ll be working on-site in Skövde with the tight-knit team, developing prototypes and full games. As we’re a small team you should expect a dynamic work place where tasks that aren’t related to programming may fall upon your shoulders. We value everyone’s opinions and input so this is the workplace where you can truly shape the games you work on. Have at least two years of experience in Unity and C#. Have a good feeling of how to make gameplay feel real nice (think juice/pizzazz). Have a good grasp of English, both in speech and writing. Be flexible – your tasks may vary and not always be code-related. Be a non–perfectionist – we want a “make-it-work”-attitude. Be self-motivated and passionate about making the game as great as it can be. Education or experience of game design and/or UXD. Education or experience in shader programming. $$$ (also known as salary, or economic compensation for work performed). An 80’s double-exposure photograph of yourself. At least one (1) but not limited to one (1) Flamebait Hoodie to be used at your own pleasure. A nice full-time job (we’re also open to doing part-time, should any students apply). Send your application to jobs@flamebaitgames.com. It’s a good idea to include a resume and a cover letter. Deadline for applications is December 1st. Passpartout Halloween Update – Available Now! Passpartout has now been updated with spooky ghosts and unlockable hats! Read more in the patch notes below! Weekly Art Contest #10 – Fantasy Theme! Fellow artists! 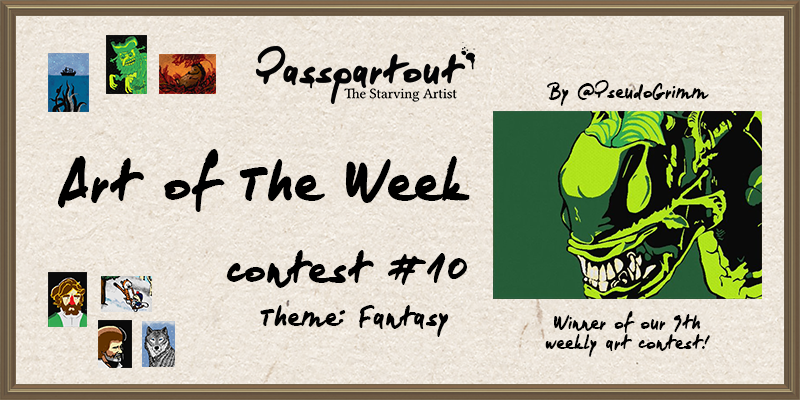 Our 9th Weekly Art Contest has come to a close and the 10th one is to begin! 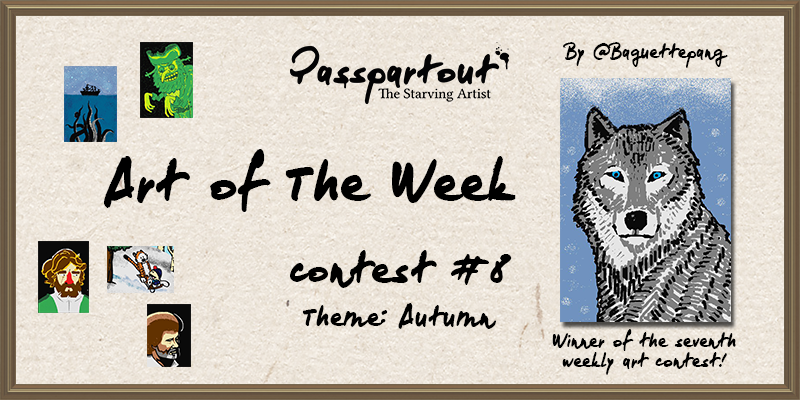 Well done @PseudoGrimm for winning this past week’s contest! Weekly Art Contest #9 – Space Theme! Fellow artists! Our 8th Weekly Art Contest has come to a close and the 9th one is to begin! Well done @ForestFantasms for winning this past week’s contest! Weekly Art Contest #8 – Autumn Theme! Fellow artists! 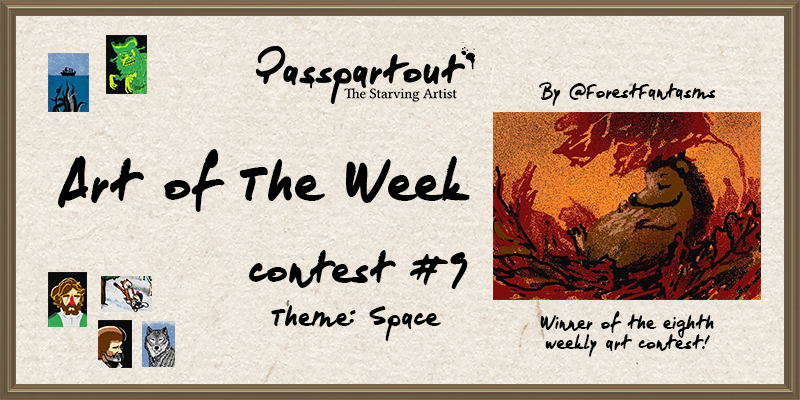 Our seventh Weekly Art Contest has come to a close and the eighth one is to begin! 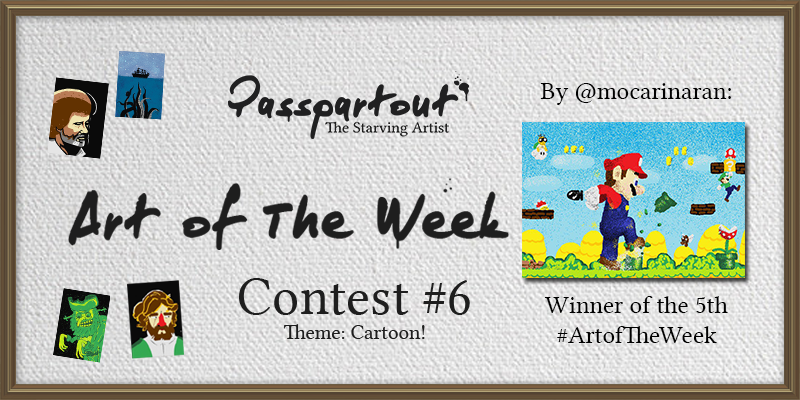 Well done @Baguettepang for winning this past week’s contest! Weekly Art Contest #7 – Animals theme! Fellow artists! Our sixth Weekly Art Contest has come to a close and the seventh one is to begin! Well done @Tintenschaf for winning this past week’s contest! Weekly Art Contest #6 – Cartoon Theme! Fellow artists! Our fifth Weekly Art Contest has come to a close and the sixth one is to begin! Well done @mocarinaran for winning this past week’s contest! Fellow artists! 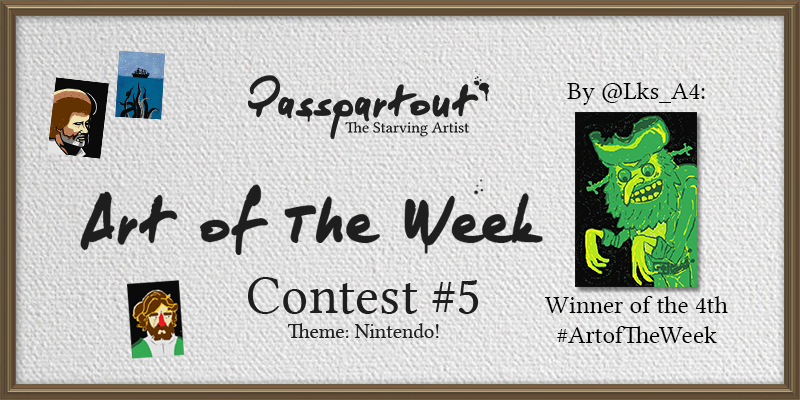 The fourth #ArtofTheWeek has come to a close and the fifth one is to begin! Well done Luke (@Lks_A4) for winning this past week’s contest! 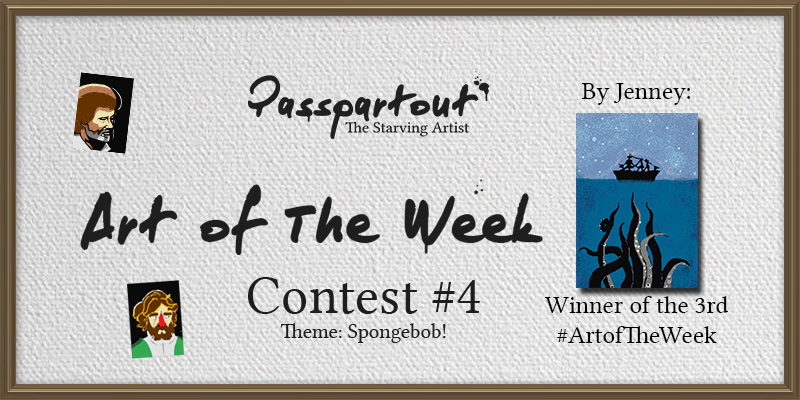 Weekly Art Contest #4 – Spongebob Theme! Fellow artists! 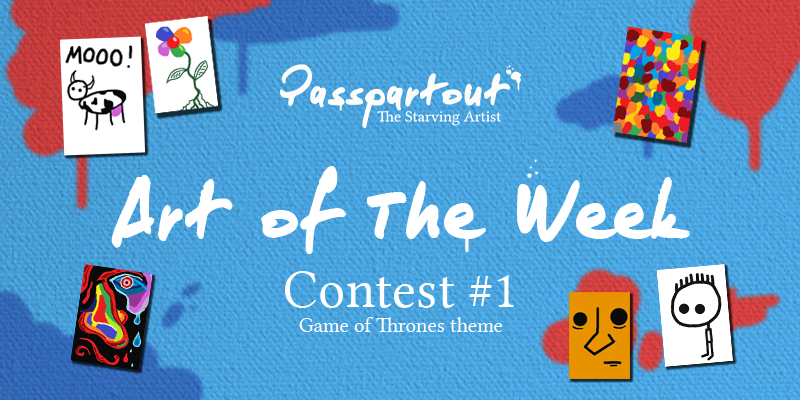 The third #ArtofTheWeek has come to a close and the fourth one is to begin! Well done Jenney for winning this past week’s contest! Passpartout Patch 1.2.0 + 20% SALE on Steam! Today we are launching our second patch for Passpartout along with a 20% sale! 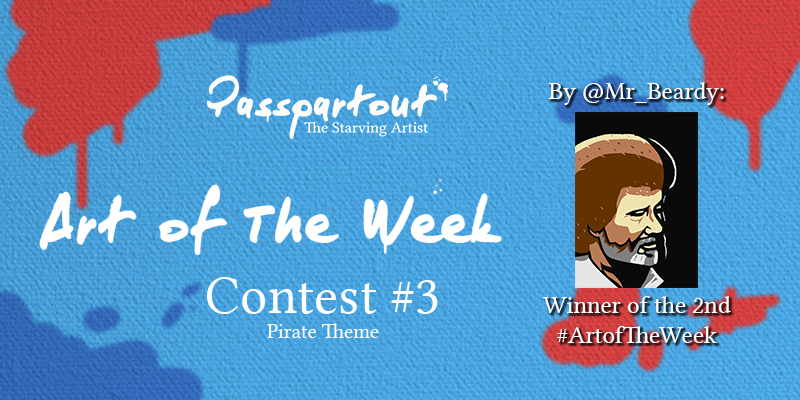 Art of The Week #3 – Pirate Theme! Yarr! Fellow artists! 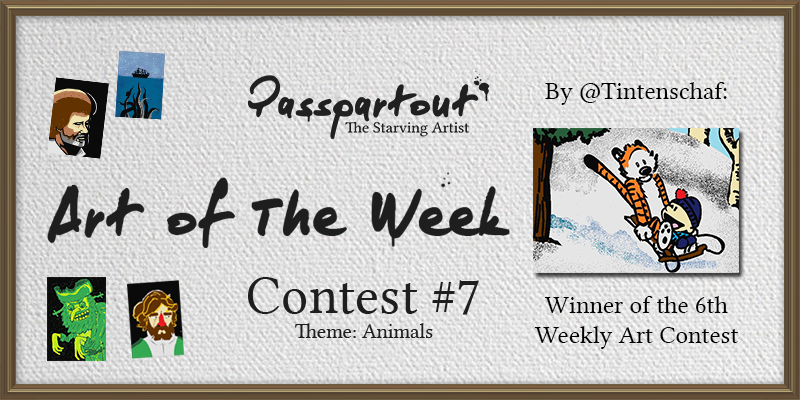 The second #ArtofTheWeek has come to a close and the third one is to begin! Well done @Mr_Beardy (The Mighty Beard on Steam) for winning this past week’s contest! Fellow artists! 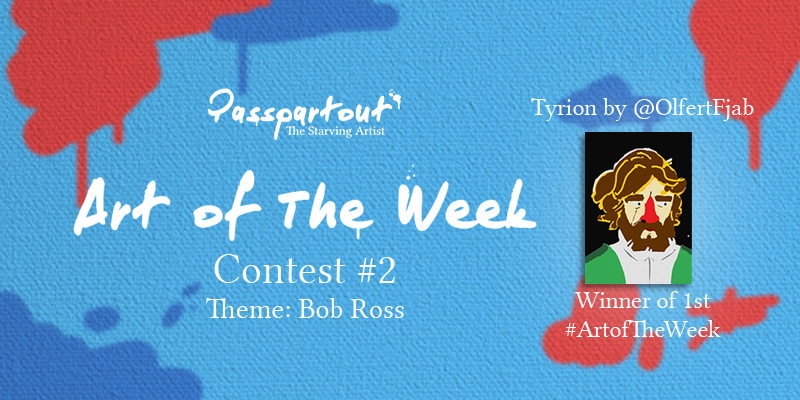 The first #ArtofTheWeek has come to a close and the second is to begin! Well done @OlfertFjab for winning the first edition. July 6th, 2017 – Skövde, Sweden – The launch of Passpartout has been a great success for Flamebait Games with over 50 000 copies sold the first month. Over 500 000 Paintings Sold in Passpartout in One Week! June 13, 2017 – Skövde, Sweden – Passpartout has been live for one week – now with over 15 000 artists. Flamebait Games shares some fun stats! Artist Simulator ‘Passpartout’ Releases Today! June 6, 2017 – Skövde, Sweden – Flamebait Games releases Passpartout: The Starving Artist on Steam and Gamejolt. 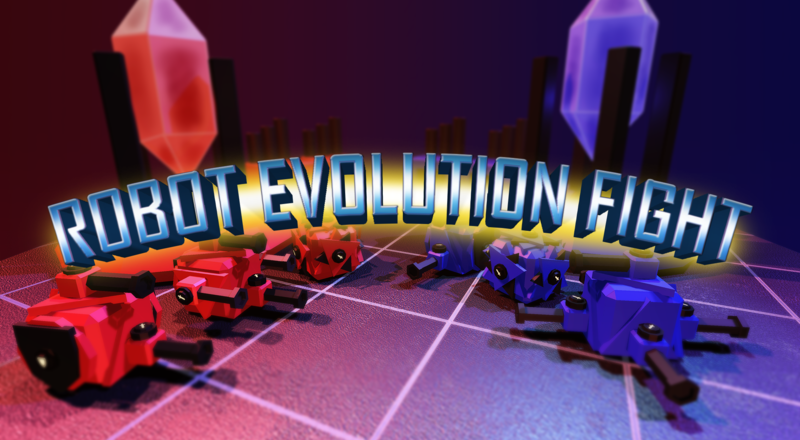 May 23, 2017 – Skövde, Sweden – Flamebait Games announced the release date of its next game, “Passpartout” on Steam and Gamejolt 6th of June. Watch the teaser trailer at https://youtu.be/y684-YhZaRg. A silly prototype was created and we wanted to share it! Enjoy watching stupid robots trying to learn how to become killing machines. Download it at Gamejolt!